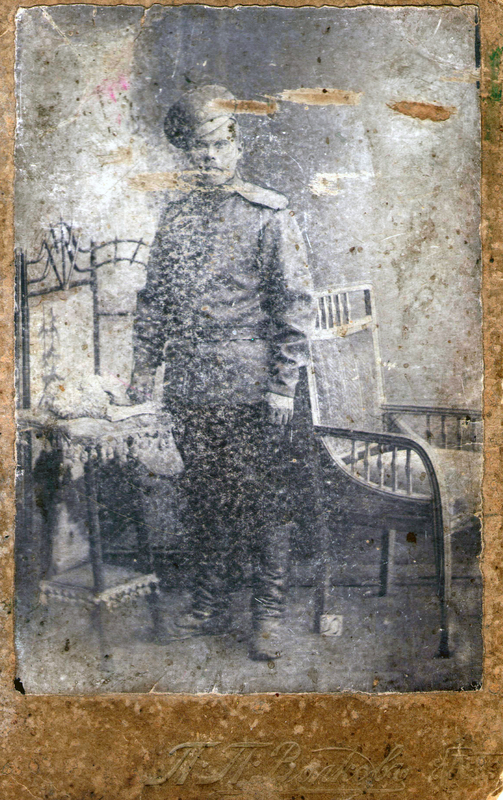 Continue the Category “What can the Old Photo say to us?” Brave Russian Officer Alexander Polikarpovich Chesnokov (1883-1937) is depicted on the old daguerreotype photograph of 1915 made in the photo studio in standing pose, holding by a small table. Judging by clothes one can say that he was an officer of lower rank, perhaps, participated in the World War I in the infantry regiments. The face of a young man is burnt by sun and withstood severe winds having been busy in the fields. Probably, by that time Alexander was not married yet. Later he married to Alexandra Fedorovna Stolitsyna (later Chesnokova) (1883-1983) who lived almost 100 years and raised 8 children alone. Her husband was detained in 1937 and never came back to her. So, Alexandra became without her Alexander for the rest of her life. After he was rehabilitated. Of all children of Alexander and Alexandra now are alive two sisters Anna Alexandrovna, 86 y.o., and Maria Alexandrovna ,93 y.o. 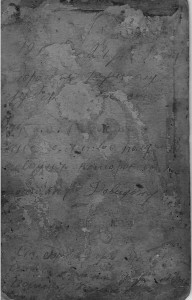 Anna Alexandrovna likes to recollect her father and mother, her village of Pechki, Navlinsky district, Bryansk (earlier Orel) region, how they lived at that time, how overcame the difficulties. 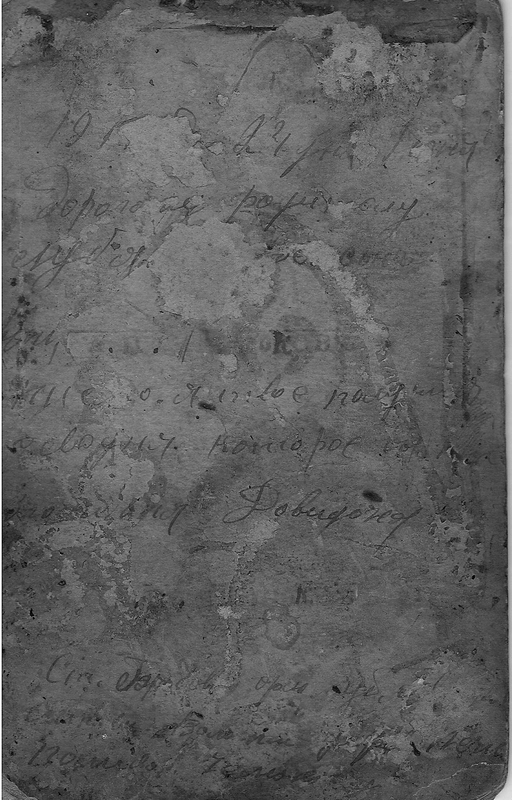 All this information was given to me by my classmate Yuvgeniya Mikhailovna Serova (Korshunova), whom we studied in a Bryansk school once with. 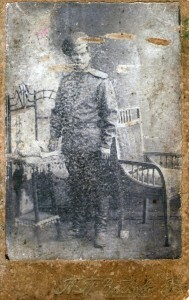 What Can the Old 1914 Photograph Speak About (Vera and Leonid) ?